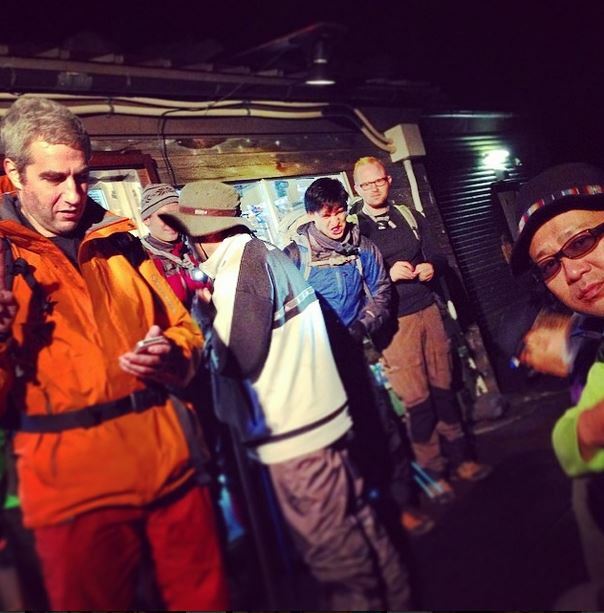 Why is climbing Mount Fuji a ‘horrendously’ bad idea? To the few of you who still read this after letting my blog pretty much slowly “die” over the last year: Thanks for still reading it. It has been a year with lots of development and changes for me! Let’s see if I can cover all of that in my next few blog posts! I just acquired this fancy new keyboard and it is just a joy typing stuff on it! So much fun actually, that I decided that I would take an hour or two (turned out to be almost 3 in the end) to write down one of my rather… older experiences of last year (and yes, there will be pictures)! So … my dear project manager – a proud and amiable French guy – decided that it would be an awesome idea to do some team building exercise and to climb this devious mountain together! He told us that he had done it once and to be honest; he is the worst marketeer to walk the surface of the earth! 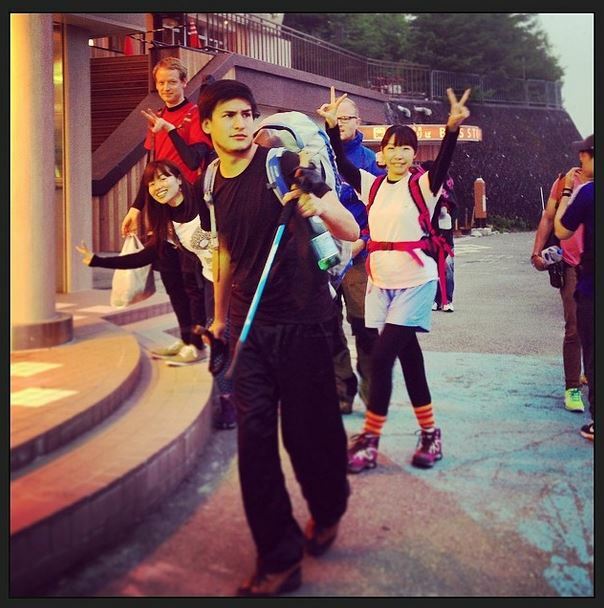 His story involved him taking only a tiny bag and t-shirt to climb the highest mountain of Japan (3,776 meters)!! He almost froze to death on the way, because it started to rain and a t-shirt didn’t seem to provide the best protection (oh, what surprise!). He also did not have a light and got separated from his group; he had to wait for the next group walking up to pick him up … ANYWAY… I could probably write a whole blog post just about HIS adventures, but since I am an egomaniac, I will continue with my story! … I should have smelled that something was wrong. But I guess I was (probably still am) just too naive to let these things deviate me from my set course! I made invitations, fliers, update mails etc. etc. a whole little marketing campaign to convince as many people of my project as possible to climb the mountain together. Looking back, I cannot believe how horrible I was to these people (granted; about 3 or 4 of them ACTUALLY enjoyed it – crazy people) by fooling them, that it would be the best experience of their lives!!! 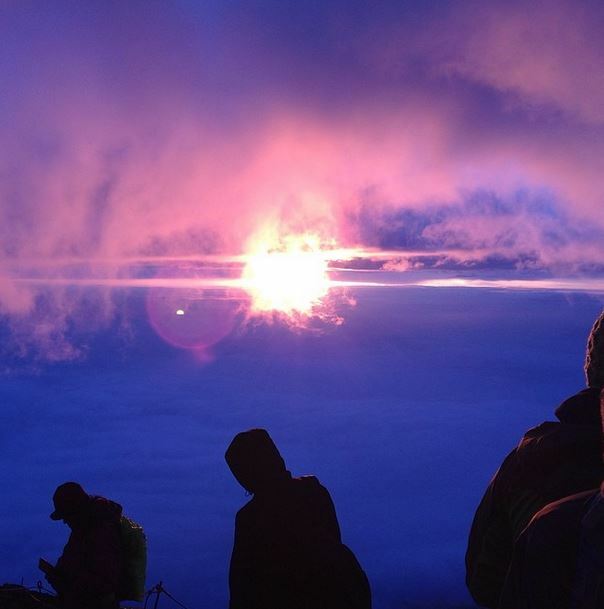 We decided to climb Mount Fuji (or 富士山 fujisan as is it called in Japanese) overnight to see the sunrise … watch the sun rise from the highest point in Japan – the land of the rising sun! Sounds dreamy, right? Well, IT ISN’T! If you are like me working in Japan, you can probably do this trip only on a weekend or a holiday, meaning that it will probably be pretty crowded; buses and trains will be booked so you have to plan/buy tickets in advance. Also, if you do not have your own professional climbing gear you need to rent it, which will cost you about 10,000円 (currently 80€ or 85$) – and believe me, you gonna need it! So what implications does this have? You will be bound to a date (probably) and the weather can destroy most of the best thought-through plans the human mind can come up with! The day we left with the bus from Shinjuku to the 5th station of Mount Fuji (2300 meters) it was not very sure yet if it would rain or not. As it would turn out later; It would rain. A lot. All geared up, smiling, happy, ready for the experience of our lives. And because were are such a lucky bunch; the moment we started walking, it started to rain. Another problem in the year we went was: The toilets along Mt Fuji did not work! When you start from the 5th Station you will come by a little stand where you pay 1000 Yen (at least back then) for climbing the mountain. It does not seem mandatory, but as the good Japanese we all are, we obviously paid to keep the mountain clean … and as an extra, because that year the toilets did not work, we got complementary portable poop boxes made out of carton. I bet some of you want me to explain all in documentary style how it goes up the mountain step by step. That is how many other bloggers do that, when they talk about walking up Mt Fuji, but to be honest; most of my memories are just a blur, and I felt like zombie walking up big stretches of the mountain … so I will just focus on the part of why it is a horrendously bad idea climbing up the mountain! 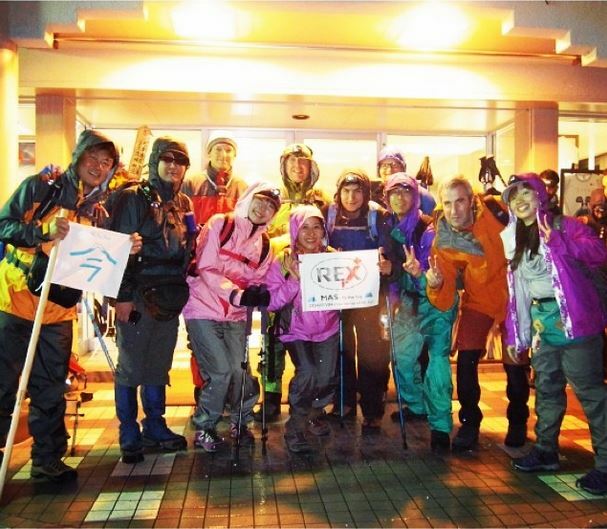 At the 5th station it is already cool and you put on all your warm gear and walk to the 6th. Even though it was raining, we realized that the 3 to 4 kg you are carrying unnecessarily around with you, plus the warm clothes are just too much for your body to handle. At the first opportunity pretty much, EVERYONE in our group had to strip down because we were sweating like pigs. But while you are walking up the mountain you need to be like a flexible onion putting on one layer after the other while you walk up! The mountain is open only from early July to mid of September, and even though we went in the “hottest” season, there was still snow lying around! Rain comes and goes depending on the altitude making everything you are carrying and wearing heavier than it already is. Look at us how we looked at around Station 7 1/2 (more about that ‘1/2’ later) – no smiles whatsoever! 3) It is dangerous as hell!!! Proud Japanese and passionate hikers will tell you it is a very easy mountain to climb. Maybe. If you are already used to this kind of stuff!!!! But for someone like me our my British friend Iain, it is just a one meter difference of surviving and crashing down a mountainside to our more than certain deaths. There will be parts where there is no real trail or way; You use your hands and legs to climb up small rock walls of the mountain. Everything is pitch dark! And I do mean PITCH DARK! The only light you have is your little toy light that you strap around your head, which gives you a light cone of maybe 30 cm in diameter. You see a wall in front of you, then you look a meter to the right and there is NOTHING. It just goes DOWN. You slip, you make a wrong step and you plummet to your death. Climbing this mountain at night is just stupidly dangerous. No wonder there are signs everywhere for this! After the 6th station you kind of lose the overview of where you are. There a lot of tiny huts (sounds romantic; mountain hut, but there is nothing romantic about these…) along the way up the mountain. Between these huts you have quite a distance until you reach the next group of huts and you think each time it is the next station and that you are almost at the top. But no… I passed about 4 times the “7th Station” … they call them sometimes Station 7.5 or 7 1/2 etc. … You will be disappointed every time single time you pass a hut! For the ones of you who did not know: Mt Fuji is a volcano. It is not like the mountains in Switzerland with trees and greenery. It is a rock. A barren black-brown rock. There is nothing beautiful, friendly or romantic about it. Mt Fuji does look stunning from far far far away and should be enjoyed exclusively like that: Looking at it from far away. Another thing is: if you go up the mountain overnight, you wont see ANYTHING anyway. For the record: I did not make it to the top where the summit is. Two friends and I fell short about 30 to 60 meters (altitude wise) … which was perfect as it turned out: We were the only ones who saw the sunrise out of our group! The rest who made it up on time was greeted by a big gray cloud. 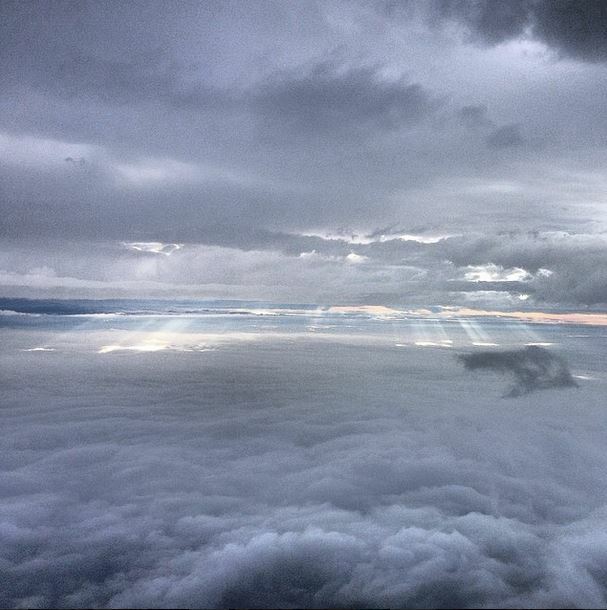 Just because of my desire of self-preservation, we stopped (by coincidence) just under the roof of clouds that were surrounding the summit!!! The only thing the rest of the group saw was some orange colored clouds! That’s something I would call HIGHLY disappointing. I did the only humane thing you could expect from me after 8 hours of climbing a mountain … Vomit behind a rock (right into Mt Fuji’s face) to show the mountain who the boss is, find a hole to die in and collapse (I did not throw up on purpose… I was feeling very sick). My British friend here by the way is not pregnant… he had his expensive camera with him and protected it under his jacket. To bad he passed out with me when the sun was rising :p I think we just saw it lying down threw our eye slits. Laziness prevails! We did not do the last few meters after the sun came up: there were too many people coming down and we wanted to go home. And believe me… it hurts your knees to walk down such a huge mountain. Luckily, the way down is an ugly zigzag path made out of little stones which I used to basically just “surf” down the mountain as fast as possible. It took us about 3 and half hours to get back to the station and have a warm bowl of ramen (noodles). The picture above shows the only moment we had good weather when starting our descent, because about an hour later it started pouring again until we arrived in the restaurant – effectively reducing our vision from 30 meters to a maximum of 5 meters. So that was my trip to Mt Fuji … were there some beautiful moments? Yes, I had never seen so many stars in my life! Since it is so pitch dark without any kind of illumination that could pollute the view, you can see thousands of tiny little twinkling stars (for you to compare: I can see 6 stars at night from my apartment in Tokyo). The sunrise was nice, but was it worth all the effort? In my opinion, clearly not. I love Mt. Fuji from far away, with its little white top and symmetry … I enjoy it every time when I can see it from my office in Tokyo or from the Shinkansen (bullet train). But if you are not a passionate climber … why would you do this to yourself? 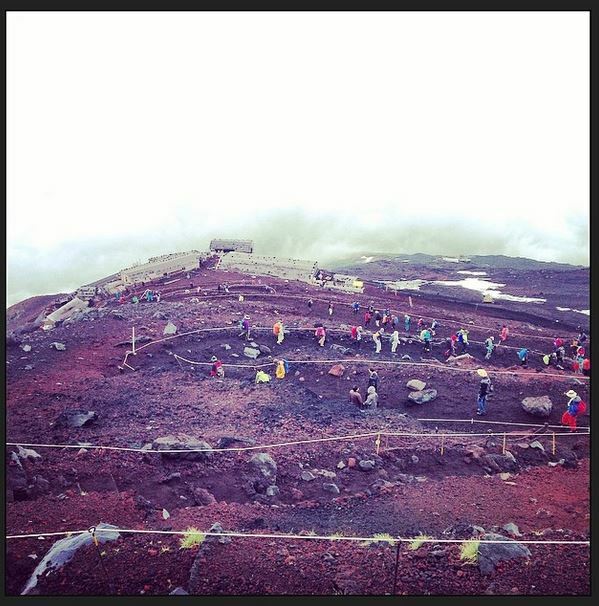 So let this be a warning to all of you who think that climbing Mt Fuji is only fun and beauty … because it is NOT! 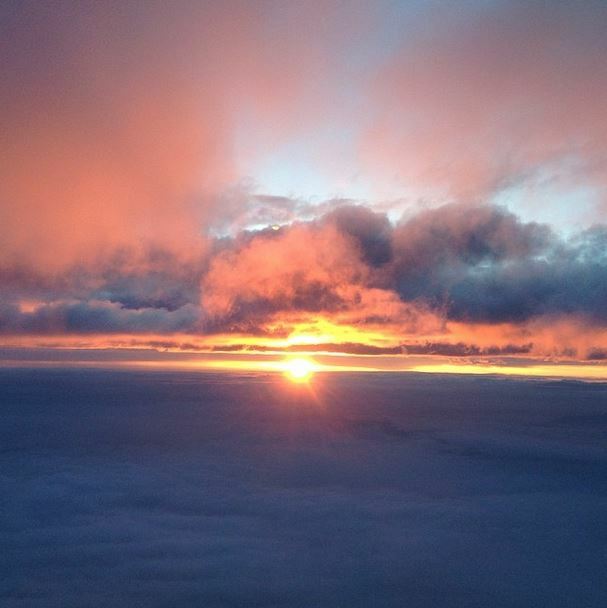 My recommendation: Pay some money, get a plane ticket that flies by at the right time over Mt Fuji and have the most stunning sunrise ever without putting yourself through that. I hope you enjoyed this little blog post! Leave me any comments or questions you like =) I hope that I can bring these out again in a more frequent manner than before! P.S. : It was still nice to have shared this horrible experience with my friends here in Japan (^_^)b Thanks to Yuko and Iain for staying with me when I was about to die! 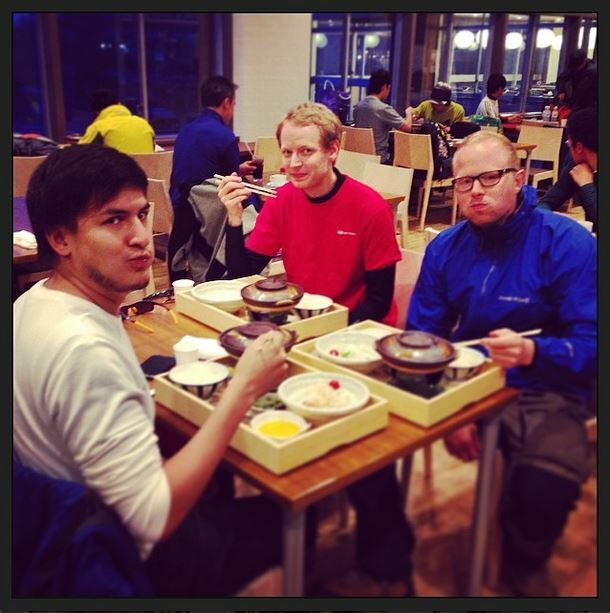 And at last; here is a little YouTube video my project manager made about our climb to Mt Fuji. Update (May 10th 2015 – 12:37 AM JST): For my German/European friends who had trouble watching the video, I uploaded a new version here. I hope this works for you guys! This entry was posted in Culture, Travel and tagged climbing, Fuji, Fujisan, hiking, Japan, Mount, Mount Fuji, Mountain, sunrise, 富士山 on May 9, 2015 by JohnyVR. Wow that sounded horrible. Why do people do it? Which month did you do this climb? Was it in May 2015? How am I dealing with my brother’s suicide?